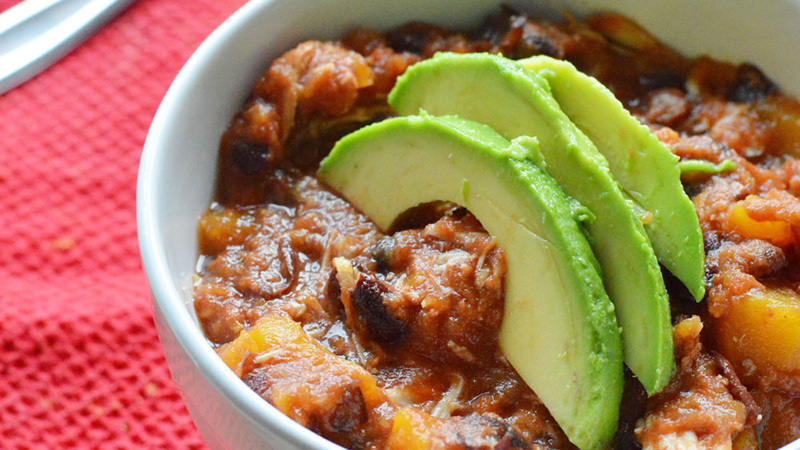 Tomatoes, Avocado, black beans and butternut squash add a health kick to this family dish. And its so easy to make using Old El Paso Mild or Hot Salsa. Deseed, peel and chop the butternut squash into bite size cubes. Add all ingredients to a large pan or slow cooker and mix well. If using a slow cooker, cook on low for 6-8 hours or high for 3-5 hours. If using a pan, cook over a low heat for 2-4 hours. 30 minutes before serving remove the chicken breasts or thighs and shred with two forks. Mix back into the chilli. Serve simply topped with slices of avocado, or with added rice.